At Phifer's Auto Service & Towing, we offer excellent auto services for any kind of mechanical work you may need in the Grainger County area. Our team of technicians is up to date on the latest techniques when it comes to auto repairs and diagnostics. No matter your situation, we are confident we can have a fast and efficient solution! 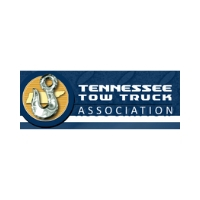 For an impressive 50 years, we've been providing the Grainger County area with towing and auto repair services that are second to none! We realize that when you give us a call, you've either broken down, been in a wreck or you have an issue with your vehicle. And let's face it: we know it's stressful and you don't want to give out any more cash than you have to but with Phifer's Auto Service & Towing, we provide top quality services for affordable prices that won't break your bank. Why? Because we care. It's that simple. No matter the time of day or night, Phifer's Auto Service & Towing is only a phone call away when you need a tow fast! We specialize in light and media duty towing services you can rely on 24/7! Don't wait a moment longer, call us at (865) 497-2137! When you need a mechanic you can trust, there's no better choice than Phifer's Auto & Wrecker Service. Our team works hard to quickly assess the issue and providing the most cost-efficient solution so you can get back on the road with ease. From oil changes to engine and transmission repairs, we do it all! Flat tire? Dead battery? No worries. We're there when you need us most! Offering fast, 24/7 roadside assistance we provide jump-starts, lock-out assistance, flat tire changes and fuel delivery services.